OUTLET PRODUCTS 25% OFF Europe delivery. TAX FREE for professionals. Transport rate updated when registering with delivery address. Armchair for waiting areas and collectivities. Back rest mesh in different colors. Structure in gray RAL 9010. 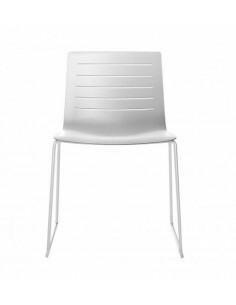 10 days delivery around EUROPE Polyvalent chair for immediate delivery for offices, waiting rooms, conferences, training rooms, escuales, etc. Upholstered chair in blue, black, red and gray. Stackable, reduced weight for easy handling. Metal structure in black color. See option chair with writing spade to match. 10 days delivery around EUROPE. 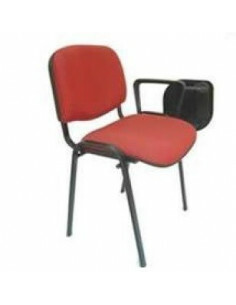 Polyvalent chair for immediate delivery for offices, waiting rooms, conferences, training rooms, escuales, etc. Upholstered chair in blue, black, red and gray. Stackable, reduced weight for easy handling. Metal structure in black color. 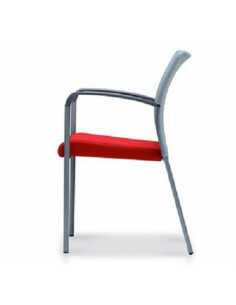 See option chair without writing spade to match. 10 days delivery around EUROPE. 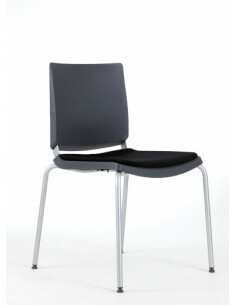 Multipurpose chair, 4 foot, without armrest, metallic grey. Polypropylene seat and backrest (not upholstered). 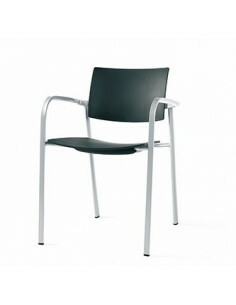 Multipurpose chair with arms 4 feet, grey metal frame. Polypropylene seat and back (not upholstered). 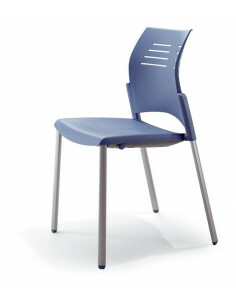 Stackable polypropylene chair sets in various colors, and structure of 4 chrome legs. 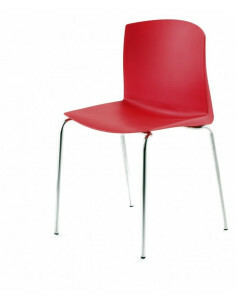 4 legs SPACIO chair of high quality design for continuous use. Made of steel and plastic injection. 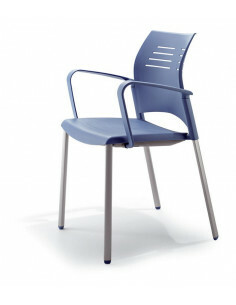 Top quality SPACIO armchair for continuous use. Made of steel and plastic injection. 2, 3 and 4-seater waiting room bench office with foot in pyramid shape in black color with seats in colors. Design is very fun and current that you can combine with the collection of swivel chair and bench. Seat upholstery as an option. 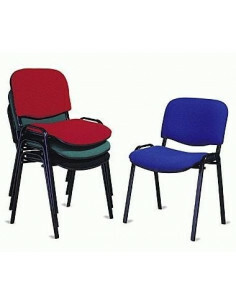 Seat and backrest in plastic case in wide range of colors. 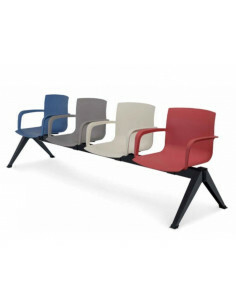 Bench multi-purpose available in various sizes. Perfect for offices and waiting rooms. Esstructura with foot in the shape of pyramid in the color black. 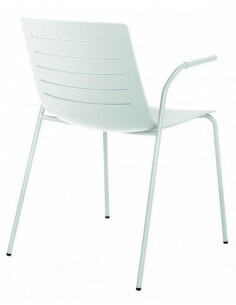 Chairs very spacious in various colors available with armrests as standard. Possibility of combining colors (indicate at time of order). SKIN chair for indoor use. 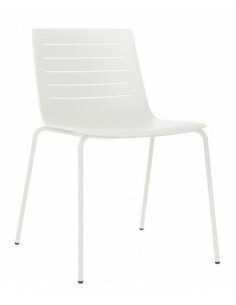 Seat and backrest injected in polypropylene. Stackable (4 units). Sold in boxes of 4 units. (unit price). Structure in black / white or chromed steel. Option upholstered seat. Armrest SKIN chair for indoor use. Seat and back injected with polypropylene. Stackable (4 units). Sold in boxes of 4 units. (unit price). Structure in black / white or chromed steel. We have the fixed office chairs with 4 feet, chairs with foot skate, chairs bench reception and waiting rooms (the benches are very interesting for areas of much step since the chairs are fixed between them so they can not move , so that users or clients can not move them and therefore are always ordered). We also have fixed office chairs, but with the revolving base. In many of the collections different versions can be combined to complete the entire office or premises with the same seating design. The most common uses of polyvalent chairs are: office chairs for meeting rooms or meeting rooms, chairs for conferences or auditoriums, chairs for training classrooms, chairs for receptions, chairs that can be used as confidantes (in front of the table of office to attend visits), etc. 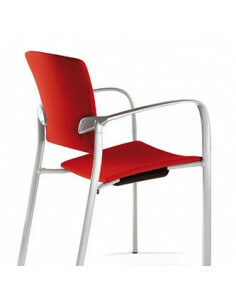 In our catalog of chairs we present the most current products of the market. 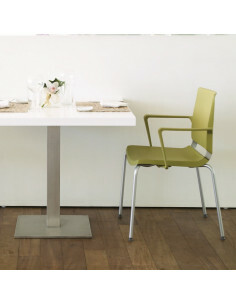 Chairs made of very different materials, resistant and innovative like resin and aluminum. If what you need is to buy office chairs for waiting rooms, receptions, etc., do not hesitate to consult our catalog here or request the product if you have not found it.